Lighting is the final touch in decorating your surroundings. 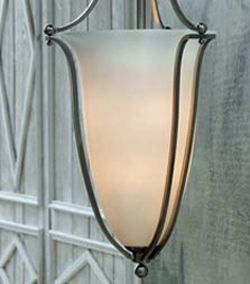 After you've designed and decorated your home or space, nothing can reflect it or bring it all to life like lighting. For four generations, Hinkley has been driven by our passion to blend design, function and the unique personalities of our consumers. We are proud of our success and excited that we are continually able to combine great design, superior materials and reliable service while offering a wide range of lighting options. With Hinkley Lighting, you'll find the perfect reflection of you. Hinkley fixtures are available through a network of the finest lighting showrooms and distributors throughout North America.